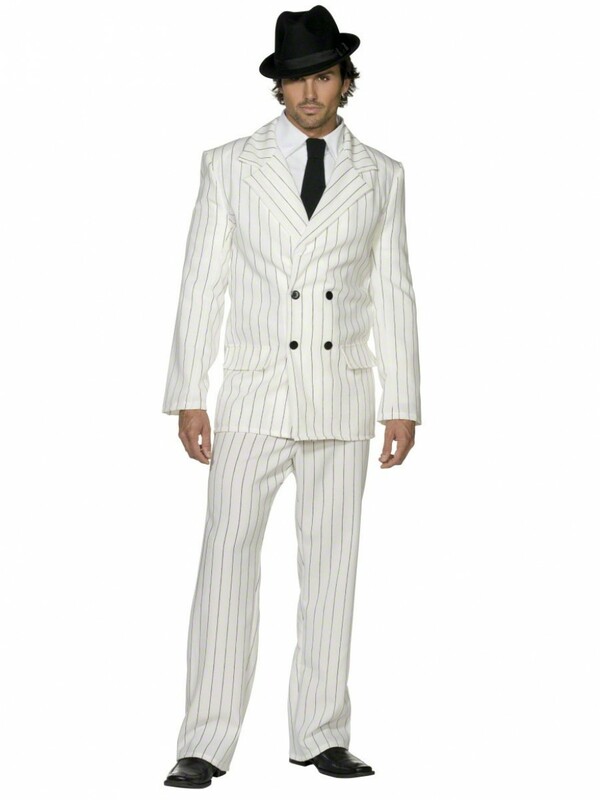 A slick White Gangster Suit with Jacket, Trousers and Tie. Perfect for 1920s themes or any fancy dress occasion! 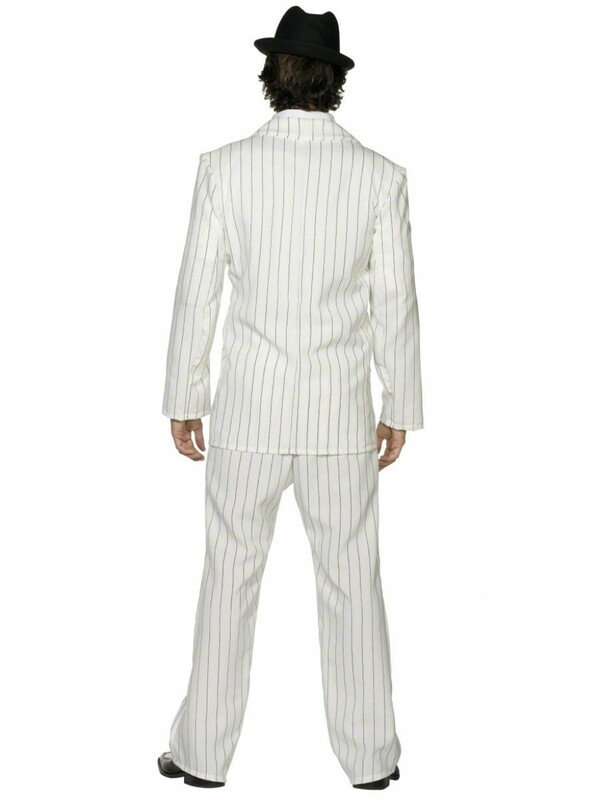 This slick costume includes a mock White Suit with Tie. 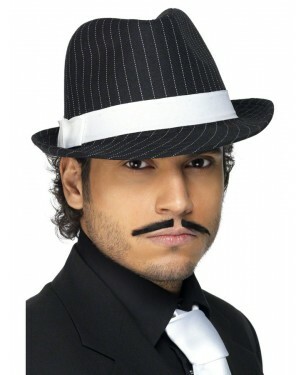 The wide pin stripe design is a sleek and classic design – great for an Al Capone Gangster look! The jacket has lots of great detailing including double breasted buttons, wide collar and mock pockets. 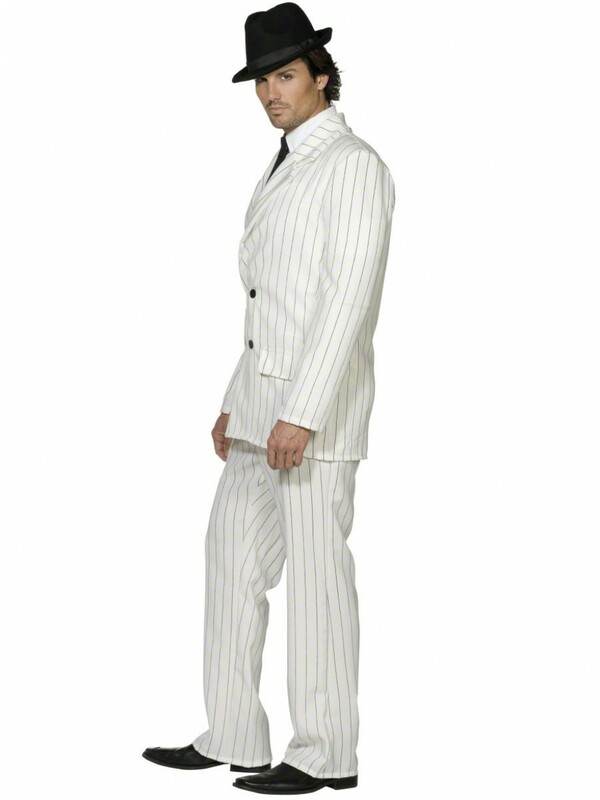 The classic pinstripe trousers match the jacket with elasticated waist for comfort. A black tie is also included which is on a black elasticated band. Please note that the hat and shirt are not included.